Just to put it out there.....I haven't habitually watched tv since 2008. And I don't watch episodes of tv shows online either. Movies on the projector at home or basketball games in a bar are really the only times I watch content previously only available on tv or in a theater. Just a few weeks ago, I watched Love & Hip Hop because my fiancee downloaded it as a guilty pleasure. I was completely amazed at how ignorant, shallow and ignorant it was (yes I know I repeated myself). This show literally made me embarrassed. It was so stereotypical, naive and ignorant I couldn't help but feel offended at how ready people are to accept this ignorance as mainstream. Is this what hip hop is in 2014? No, and I'll explain why. The only person currently involved in hip hop is Joe Budden (and I exclude Budden from this rant completely). There rest of the cast are terrible-to-mediocre R&B singers, Peter Gunz, who dj's randomly and other people "involved" in the "industry" to varying levels of degree and success. That doesn't mean I don't give Peter Gunz credit for his cultural hit in the 90's. I guess you could make the argument that Gunz is in the industry because he dj's, but the point is since the show is supposed to be about hip hop, everyone should be involved in hip hop somehow. I'm going to sound like the biggest hater in the world right now. But..............oh well. People love the ignorant portrayal of black and latino people and Love & Hip Hop reminds you just how many people are willing to play that role. On the first episode I saw, there was a DNA test to establish the biological father of a child, a man cheating on his common law wife of 12 years who he had children with, a couple dealing with their relationship over the phone while the man was in jail and a constant battle of egos and adults acting like overgrown children. It was like watching every Maury Povich show combined into one episode. If only these people were as dedicated/talented musicians as they were capable of creating drama and getting attention, the show would be worthwhile. There are millions of creative people out there working their asses off to get the opportunity to showcase their talents and what people watch is Love & Hip Hop? The word "Love" should be removed from the title because nothing in the show focuses on the passion, creativity or dedication it takes to be a successful artist. Nothing about this show is about "Love" and that includes the relationships in the show. Love and Hip Hop should just be called "The Real World: Harlem" or "Hoodrats of NYC". Love and Hip Hop is representative of something in the real world, but it's not hip hop. If I were to re-brand Love & Hip Hop, I would follow a kid going to school, working a part time job to help out and is talented as hell on the mic. I would show his ups, downs and show it as the reality and insane level of competition in 2014. 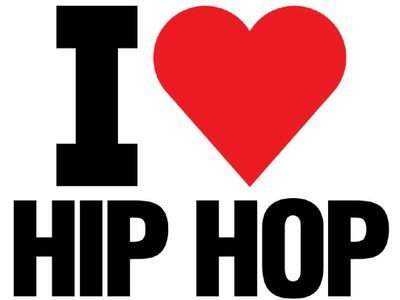 Hip hop is also a culture. So, this re-branding would show a click of artists that go out to support each other, put in their work on their own skills and projects and also do the networking side of the grind. Also, my version of Love and Hip Hop would follow the creation of a full length project from an artist from beginning to end. There's no shortage of artists that would contribute to something like this and it would/could actually be pretty dope. Instead, you get stereotypical melodrama that focuses on ignorance, gossip and superficial egomaniacs. If it's accidental that all of the negative aspects associated with hip hop actually make it into the show, then that's unfortunate. In my opinion, you have to first seek something positive before you can find it. The same applies to this logic in reverse. In my version of Love and Hip Hop, it would show the hard work, creativity and networking needed to succeed in the quickly changing music world. But that's not glamorous enough to make people tune in, is it? Instead, VH1 created a "reality" TV show that stereotypes minorities by misusing the name of the most popular genre in black music, hip hop. It's no different than a Tyler Perry movie/show really. When I get on the train in NYC, I see young black men taking their kids to school. I see black men, women and families going to work, school and I see people doing the exact opposite of what content providers are so quick to broadcast. I know hip hop artists from NYC that have children and are proud as hell to be an active and healthy part of their kids lives. I see female mc's that have never even thought about stripping because they love themselves and you can tell. That doesn't mean they have to hide from their sexuality, but it also doesn't mean they have to rely on it exclusively. I've met so many talented hip hop artists that are dedicated to their craft and they are the one's that will make it. People watch Love and Hip Hop for some reason though, and that's a whole other blog entry (which maybe I'll write about in the future). I don't Love and Hip Hop and all other incarnations of this ignorance because of everything I've already said and what it means to me. The question is what does it mean to you? And if you like watching this garbage, why? What does watching programming like this say about you?